What is special about bacteria in porous media? In porous media, the complexity of biofilms is coupled with the intricacy of the connected, multiscale, and heterogeneous nature of the porous structure and of transport phenomena. This makes life of microorganisms in porous structures fascinating and promising for engineering purposes! 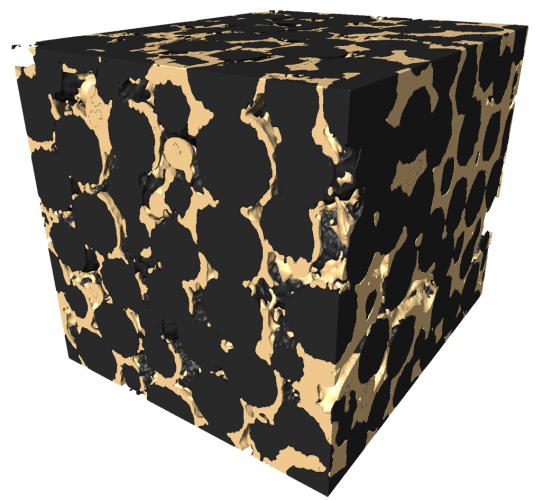 Biofilm (gold) growing in a solid porous structure (black). Among other mechanisms, competition between hydrodynamic stress and nutrient transport may lead to complex dynamics of biofilm growth. For example, a recent study (Coyte K., PNAS, 2017) suggests that fast growing organisms may redirect flows and nutrients toward competitors, therefore selecting for slow growing microbes. Another work (Nadell et al., eLife, 2016) shows complex spatiogenetic patterning, where flow heterogeneities and bioclogging by a shear-resistant strain facilitate the growth of a non-resistant strain. Understanding such complex ecology demands better knowledge of mechanisms over a range of spatial scales. Two-photon microscopy of biofilm growing in a capillary tube. 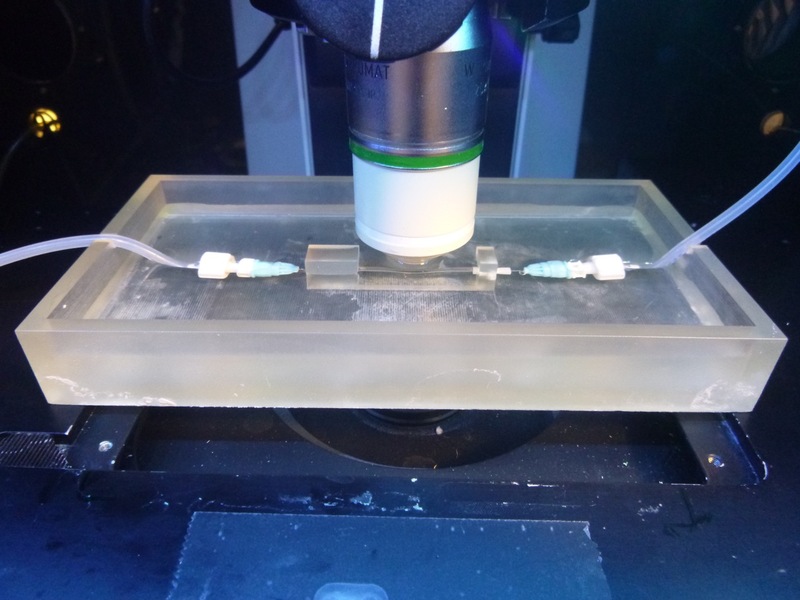 We have developed a fully instrumented micromodel system, using 3D printing of micro-bioreactors, to study the biophysics and physical ecology of biofilms in porous media. 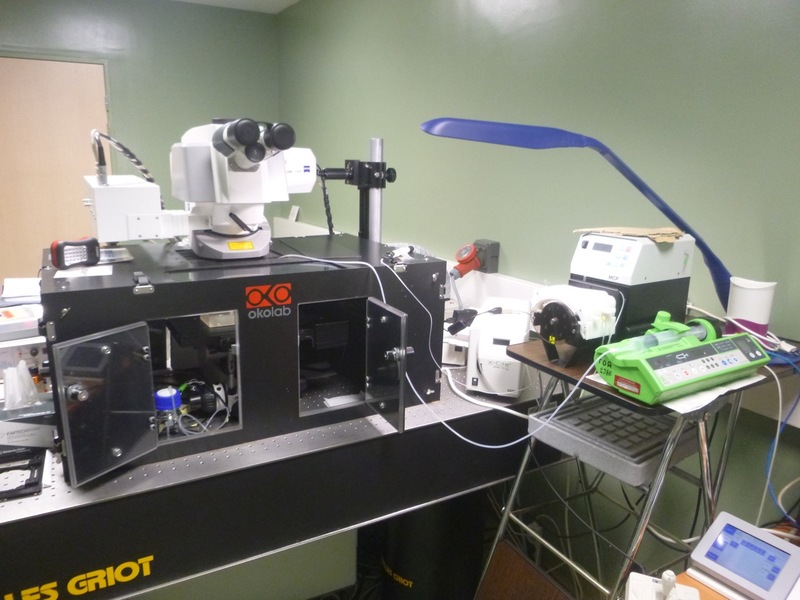 We also work on novel imaging approaches based on X-ray microtomography to observe biofilm in realistic 3D structures. And soon I hope a lot more!